Jose Pedraza not only won a second world title in as many divisions this past weekend, but now he has a lottery ticket to fight Vasyl Lomachenko. Pedraza, who won the WBO version of the lightweight title against Ray Beltran, will be squaring off with WBA titlist Vasyl Lomachenko on December 1st. 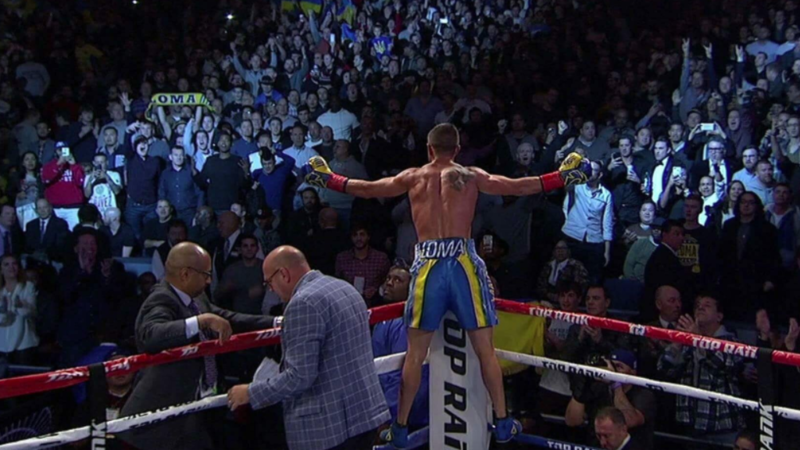 “We can already talk about Lomachenko. First we were focused on Beltrán, but now we can look at the next thing. I came out well from this fight, I’m not battered and I will be available,” Pedraza said in a post-fight interview. Pedraza’s coach, Luis Espada, knows the road is for a fight with Lomachenko, but wouldn’t mind waiting a bit. “My preference is to make at least two title defenses and wait until the summer of 2019 for Lomachenko because it would be more interesting to do it in New York for the Puerto Rican Day Parade, but the commitment that was made is that it would be in December,” said Espada.